Disclosure: I received two complimentary tickets for the Wine Train. And it was AWESOME. Last weekend, I had the opportunity to experience the Napa Valley Wine Train, and it was a day like none other! 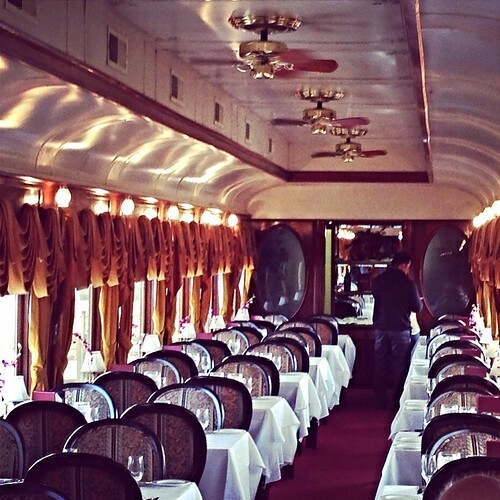 If you haven’t heard of the Wine Train, it’s a train that runs from Napa to St. Helena and is made up of restored, vintage train cars that are absolutely beautiful. All aboard the Wine Train! There are different experiences to choose from–you can have lunch, dinner, or a meal plus winery tour. 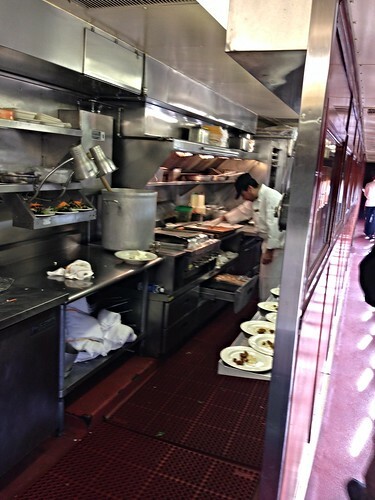 All of the trains include a gourmet meal prepared in the kitchen car (yes, on a moving train, it was quite impressive! ), and the winery tours include a private tour and tasting. 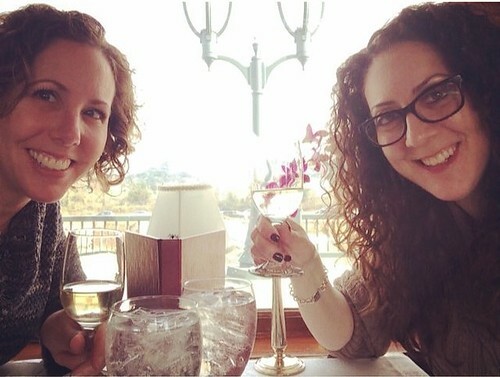 We decided on lunch and the Castle Winery Tour and it was so much fun! Cheers to the Wine Train! 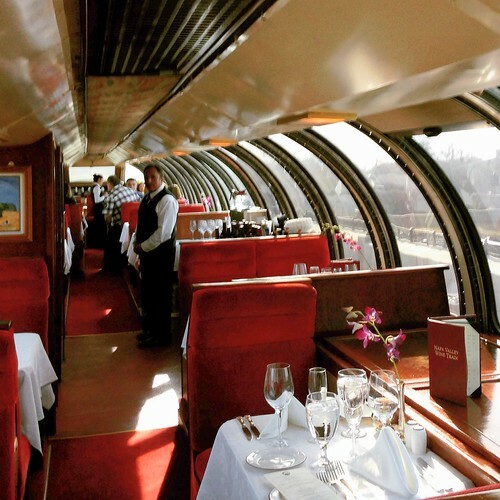 If you want to enjoy the beautiful views from the train while having a meal, the Vista Dome car is perfect for that as the domed windows allow for amazing views. Additionally, the Vista Dome Premier Train, which runs select weekdays during winter months, is limited to only 56 passengers so you have a very intimate experience. This train debuted just this week, and it’s going to be incredible! When I come back to Napa, that’s the next train I’m taking. 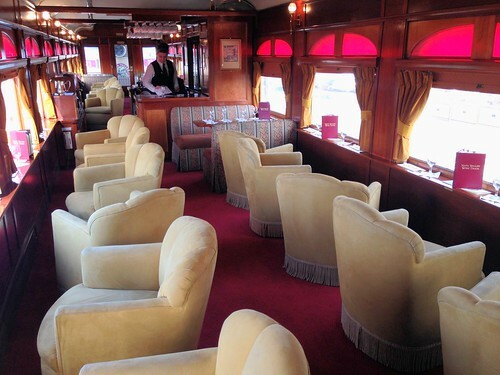 So onto our day–we arrived at the station at 10:30, received a special tour of all of the cars, then promptly boarded the dining car. Seating is arranged before you board, so there’s no worrying about making sure your group is seated together which was really nice. We perused the menu and selected our courses (lobster bisque for both of us, followed by chicken for me and salmon for my friend, and desserts–chocolate covered tiramisu and creme brulee with blueberries). Everything was delicious and prepared fresh in the kitchen car, which is amazing considering how much the train sways while it’s moving. After our soup and entree, we moved into the Lounge Car for dessert and coffee. 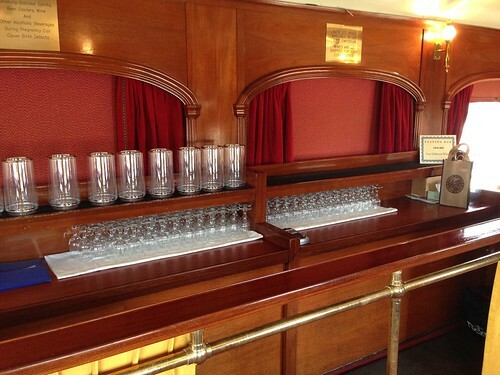 If you want to do a wine tasting on the train, there’s also a magnificent wine tasting car. 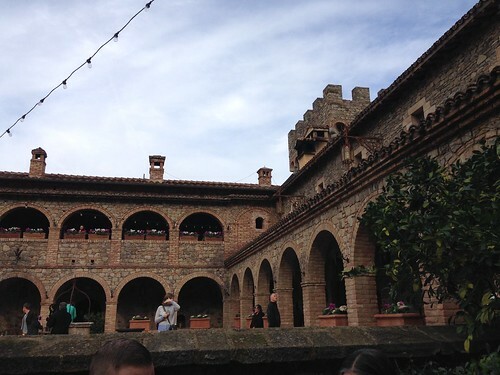 With our bellies full and ready for our tour and tasting, we took a private shuttle to Castello di Amorosa, a gorgeous authentically-styled, 13th century Tuscan castle winery. 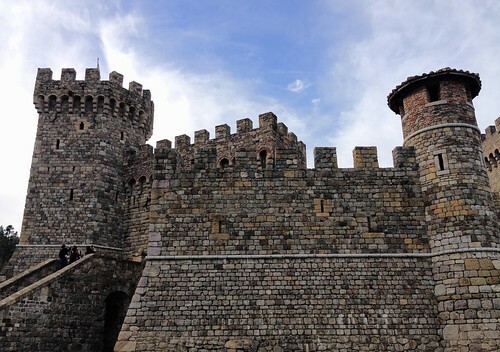 It took 14 years to build the castle, and it has more than 30 acres of vineyards. We got to try wine straight from the barrel. Also, our guide, Mark, was awesome. Following our tour and tasting, we took the shuttle back to the train station and gushed over how fun the day was. 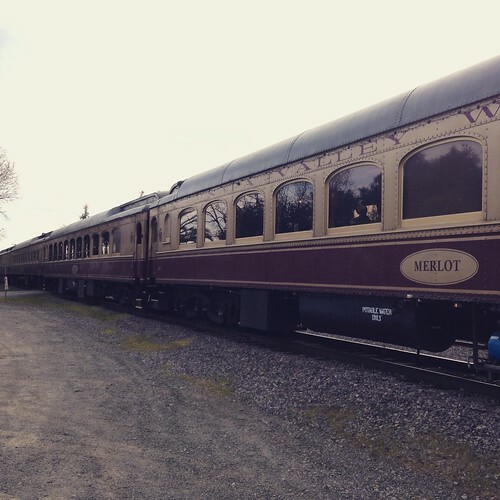 If you’re looking for a special way to celebrate a birthday, anniversary, or bridal shower, or a girls’ weekend, you should consider the Wine Train. I promise you’ll have a fabulous time!